Q) How do I get a refund? Tickets purchased online are not refundable but can be exchanged at the box office for another show. They must be exchanged one hour before the show time. Tickets purchased at box office are both refundable and transferable one hour before the show time. Q) How do I give feedback? You may give us feedback through our contact us form on this website. Q) Can I bring outside food into the cinema? Outside food is NOT allowed inside the cinema and auditoriums. We have our own concessions business where you may purchase food and drinks. Q) Can I bring babies into the auditoriums? This will depend on the movie. Babies are only allowed into infant rated movies. If a child is old enough to require his/her own seat then a separate ticket MUST be purchased for that child. 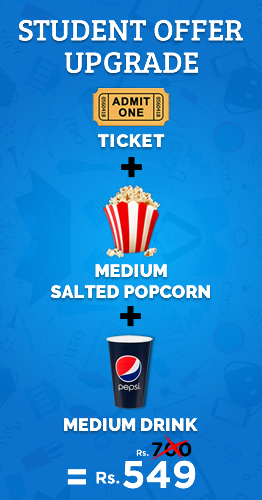 Q) What are the different ticket types? There are two ticket types. A Standard ticket for regular seating and a Premium ticket for an upgrade to a premium seat. Ticket prices will vary for weekday and weekend shows. Q) How many days in advance can I book tickets? As soon as a movie session is open you can book tickets for that session. Q) What are the operating hours for the box office? This will depend on the show times. The box office will open an hour before the first movie session starts and it will close when the last movie session starts. Q) How do I purchase tickets online? To purchase tickets online kindly use the search function on our homepage to find the movie, cinema and date you desire. From the displayed results select the show time for the experience you want. You will then be directed through a step-by-step transaction. Q) What sort of payment methods are accepted for online ticketing? Q) Will my credit card information be stored? No, Universal Cinemas will not store any credit card numbers for safety purposes. You will be required to re-enter your credit card number every time you make a purchase. Q) How do I collect my tickets? You will receive an email or online code at the time of transaction which you can present to the box office. Further, you will be required to Show your ID and credit card that was used for the transaction at the Box Office to collect tickets. Q) What is loyalty Club program? Loyalty Club program is a loyalty program for our valued customers. This program allows members to earn points which can then be redeemed to watch free movies and get upgrades. Membership also allows customers to enjoy various benefits including discounts on concessions and opportunities to participate in exciting competitions. For more information visit our Loyalty Club page! Q) How can I sign up for a membership? You can sign up for a membership through this website. Simply click on My Account and sign up today! Q) How soon can I use my Rewards Club membership? You can make use of your membership immediately! This means that until you receive your card you may make use of your membership number to earn points. Simply give your membership number at the time of transaction to earn points. Q) How can I check my Loyalty Points balance? You can check your balance through the website by signing in through the My Account tab. Q) How can I use my Loyalty Points? Loyalty points can be used to purchase tickets and certain concession combos. For more information on exactly how many points are needed for each ticket and combo kindly visit the Loyalty Club page. Q) Do Loyalty Points expire? Loyalty points do not expire unless a member has been inactive for a period of one year. Q) If I forget my card during a visit can I still get points? Yes it is still possible to earn points if you forget your card during a visit. Simply provide your membership ID along with your ID card to the staff at the time of transaction.